Friday afternoon at Talladega (Ala.) Superspeedway in the 2016 NASCAR XFINITY Series (NXS), it was Matt Tifft – with a lap speed of 181.918 MPH, who was the fastest Friday afternoon in the final NXS Sparks Energy 300 practice session at Talladega (Ala.) Superspeedway (TSS). Second fastest in the session with a lap speed of 180.515 MPH was Ty Dillon, and he was followed by series Rookie of the Year (ROTY) candidate, Brandon Jones (180.346 MPH) who was third, Daniel Suarez (180.220) fourth and Jeremy Clements (179.801) was fifth. ROTY candidate, Ray Black Jr. (179.767 MPH) was sixth-fastest, while Austin Dillon (179.669) was seventh, ROTY candidate Erik Jones (179.598) eighth, Jeb Burton (179.541) ninth and Elliott Sadler (179.430) posting the top-10 fastest lap speed. The series returns to the track Saturday morning at 10:30 a.m. (ET) on FOX Sports 1 for qualifying to determine the starting lineup for that afternoon’s race. The 25th annual Sparks Energy 300 is scheduled to get underway around 3:20 p.m. (ET) Saturday afternoon on FOX. 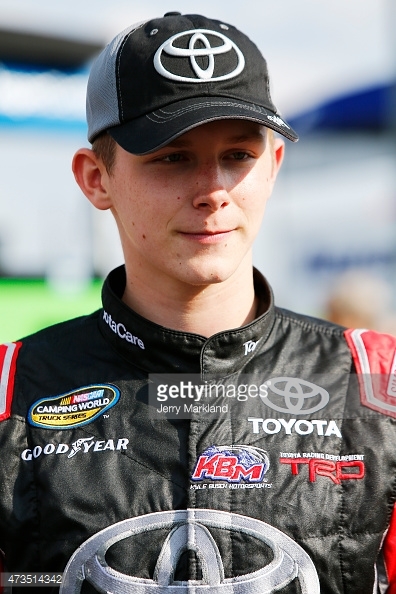 This entry was posted in NASCAR XFINITY Series and tagged Matt Tifft, NASCAR, NASCAR XFINITY Series, Sparks Energy 300, Talladega, Talladega Superspeedway, XFINITY Series. Bookmark the permalink.